Published November 13, 2017 at 4032 × 3024 in Thousands of dollars later, campaign yields no finance report and one unhappy candidate.. Some of the fliers that Jeremy Hunter paid canvassers and poll workers to distribute during the General Election on Nov. 7. 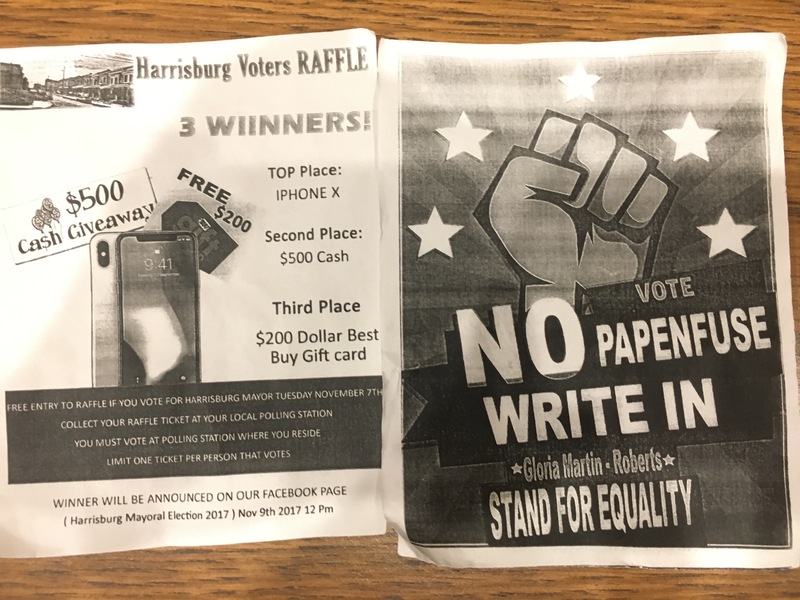 Hunter claimed he did not organize the election day raffle advertised in the flier on the right, but admitted to paying some of the people who promoted it.